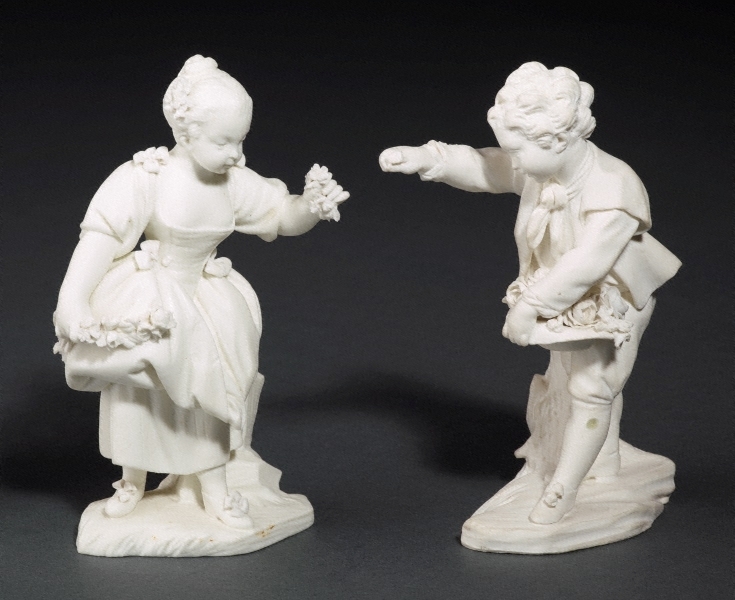 Along with Girl offering flowers (L2012.200), the figures were known at Sèvres as la guirlande debout and le porteur de couronnes. The crown of flowers held out by the boy is now missing. 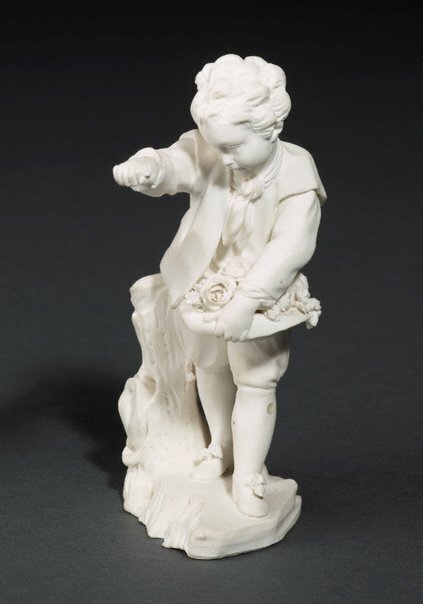 The figures were originally modelled by Falconet after designs by Boucher. The mark indicates that these examples were made after Falconet’s departure when Bachelier as director of sculpture. 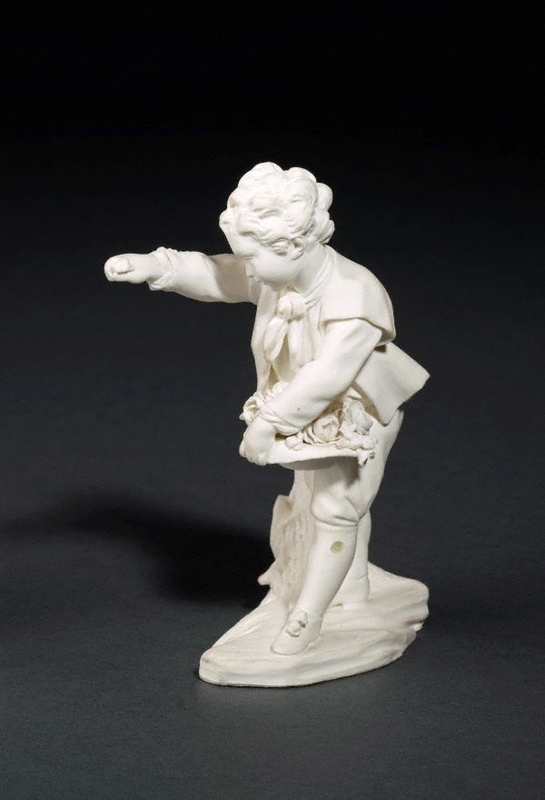 The male figure is one of 12 reproduced in a set of engravings by PF Tardieu published c1761.